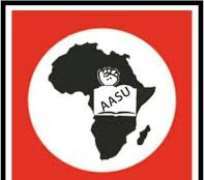 The All Africa Students Union (AASU) has noted with great concern the recent unwarranted attacks on African students in India. The report reveals that two attacks on African students took place in Greater Noida, a suburb of New Delhi in the course of this week. These ugly occurrences were, unfortunately, due to unsubstantiated reports that African students had sold drugs to a young Indian student who later died of an overdose. This is, yet, another episode of violence against Africans, in that country, in recent years. India and African countries have long-standing historical and cordial relations whereby an increasing number of African students have been going to India for further studies. Those long time and good relations between India and Africa must not be mired with these seeming racial attitudes and lawlessness. AASU condemns, unreservedly, these unsightly acts and calls for the use of laid down procedures in arriving at justice and eschew stereotyping people of a particular descent. It is, however, encouraging that some arrests have been made and AASU believes in the Indian justice system and expects that justice would be delivered meritoriously and efforts would be made to forestall such occurrences and nib it in the bud. AASU commensurate with the plights of the victims of these needless actions and encourages students of African descent studying in India to be observant of the laws of that country and not to fall victims of same laws.